Shelves are great for things that can be laid down like – t-shirts, jumpers and jeans. Knit items should be kept on shelves as well to prevent hanger bumps. 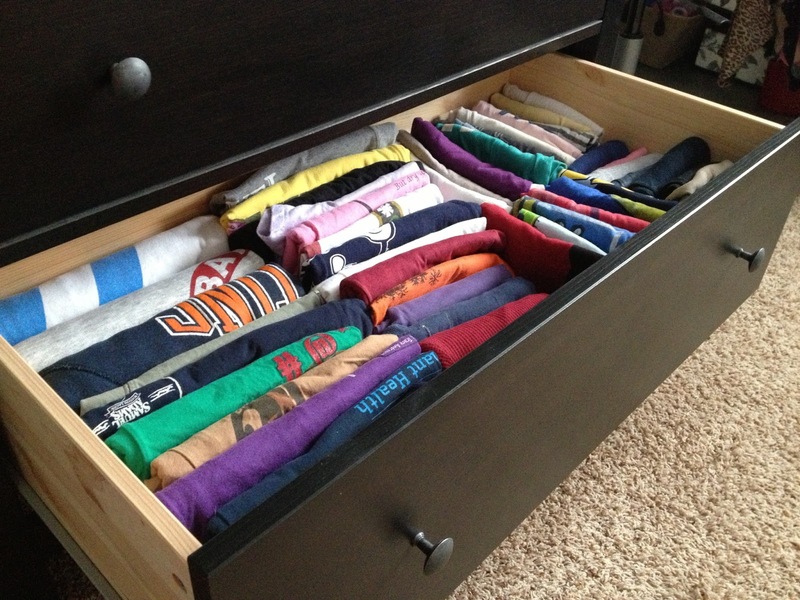 If there are some dressers or drawers in your closet always stack your clothes vertically. This method will save a lot of space, plus you will easily see every item! Got open shelves? Browse the internet for video guides on how to fold t-shirts and jumpers like a pro so that they stay wrinkle free.